Organizing, prioritizing, and survival mode. We've been switching between all three for the last couple of weeks. Sound familiar? In general, planning and organizing are my strengths. I am happy that I have these skills, though nothing compares to reading one more story, staying an extra 10 minutes at the park, or making my husband belly laugh in the kitchen and be late to work. I didn't become a wife or mother to coordinate our household, clean sticky crud off of the counter tops, or wipe spilled milk off the floor for the 36th time (although all these things are part of parenthood), I became a mother to love them and to have fun. To love fiercely and whole heartedly even when they may not always deserve it because I, myself, don't deserve it at times either. Still, the best part about my day, every day, is them. Whatever is happening in our lives— tantrums, mountains of laundry, work brought home, or soup thrown across our clean kitchen floors (ahem, Abby)—they are what I've dreamed of. What I've prayed for and thanked God for many times. As mothers, we always continue to love anyway, don't we? A friend of mine said to me, "It's important that when you’re doing your job, one that comes with extremely low pay, that you're having fun. If you’re not having fun, then why are you doing it? There are a ton of terrible low paying jobs out there." Her statement has stuck with me over the years and one, which got me thinking... If I'm going to work extremely hard for a low paying job, it's got to be worth it. It's got to have the word “fun” in it. This is also true for motherhood, especially for a stay-at-home mom who isn't getting a pay check (like me!). Most of this blog so far has been on motherhood tips and DIY, as those things are certainly my passion! I love being creative and I love people. I wouldn't have been a public-school teacher for so many years if these things didn't excite me. 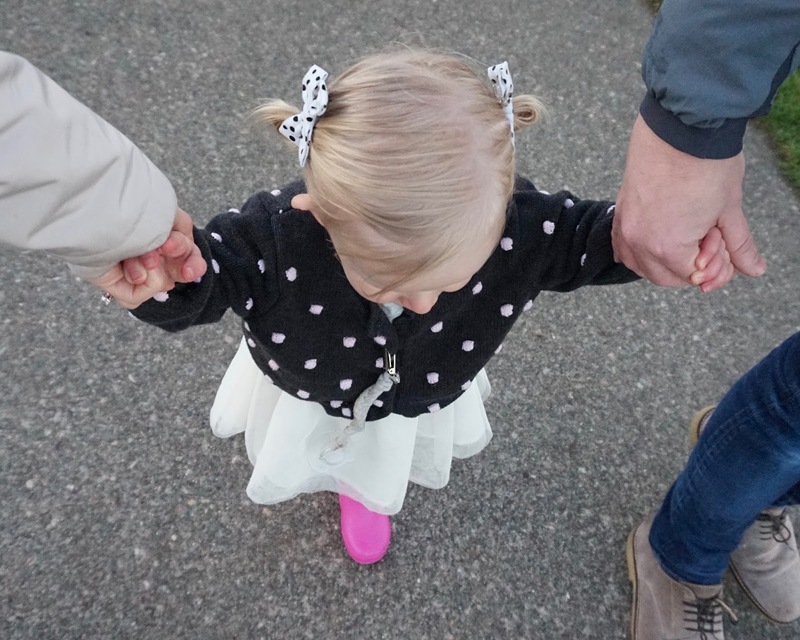 Although this blog post has been a long time coming the last couple of weeks, and one I hope helps get you thinking about why you yourself became a mother, especially for those tough days. Whether you're a stay-at-home mom (work within in the home), work part time or full time, what makes motherhood "fun" for you? What do you love about being a mom? 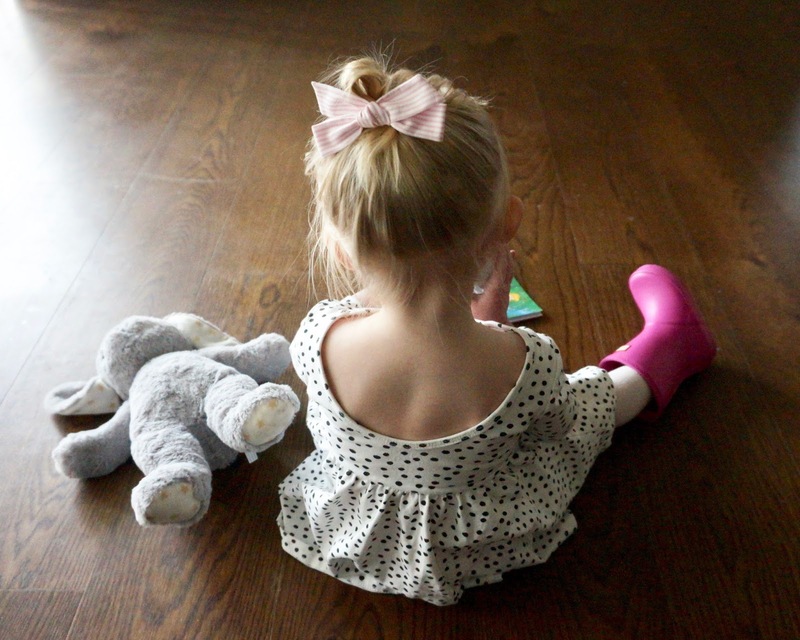 Below are a few things which make motherhood fun for me with my toddler. 11) Finding what makes Abby laugh. 14) Going for walks in the park. 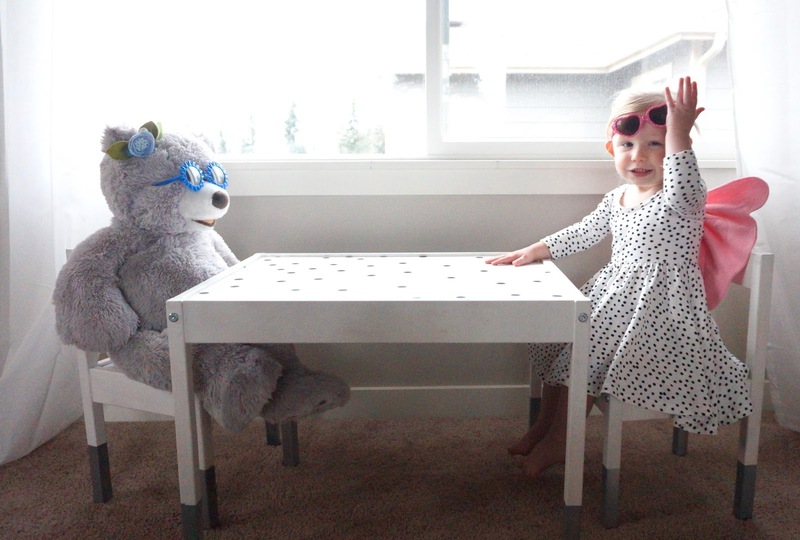 15) Making the same food I loved as a kid—like pancakes, cupcakes, and soup for Abby. 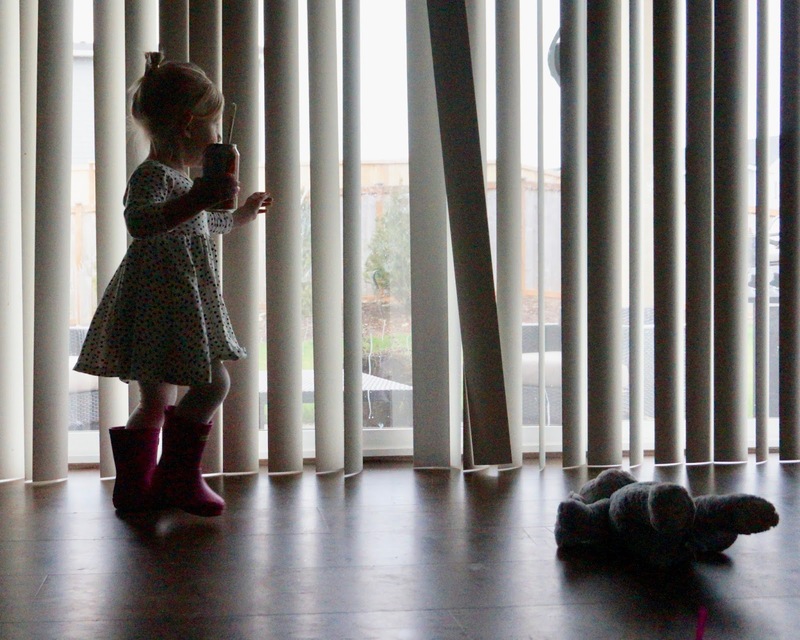 17) Finding Abby's favorite song and then playing it and “dancing” together. Hopefully this list helps inspires you to start thinking and writing down what makes motherhood fun for YOU. I'd love to hear your ideas and thoughts below! 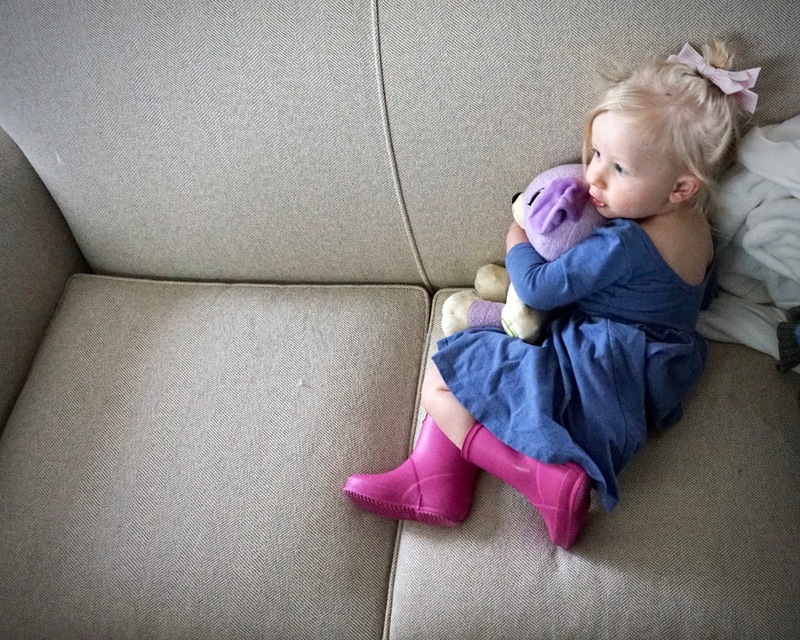 Here's wishing you a peaceful, love filled, and non-throwing sippy cups memories for the week! 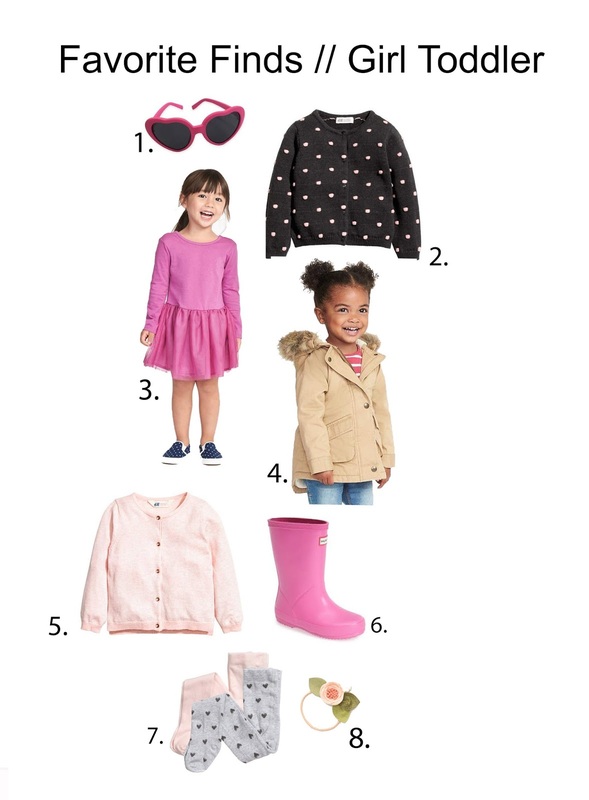 My secret guilty pleasure is shopping for my little girl (which I'm now letting you in on). As a first-time mom it took me a while to find items I loved since I didn't even know where to start. The terms bodysuit, 2T, and milk snob could have well been new flavors of froyo. I had no clue what to buy or how to make a smart purchase. Below is a style guide, highlighting many of the basic pieces a lot of you commented on and/or asked me about over on Instagram. One // Heart Sun Glasses: Abby's white heart shaped sunglasses are sold out, although these pink ones are similar. Plus, pink is a great color for spring and summer! Two // Polka Dot Sweater: I have a long history and major heart eyes for anything and everything polka dot. Also, I firmly believe it's impossible to be anything but happy when wearing polka dots. 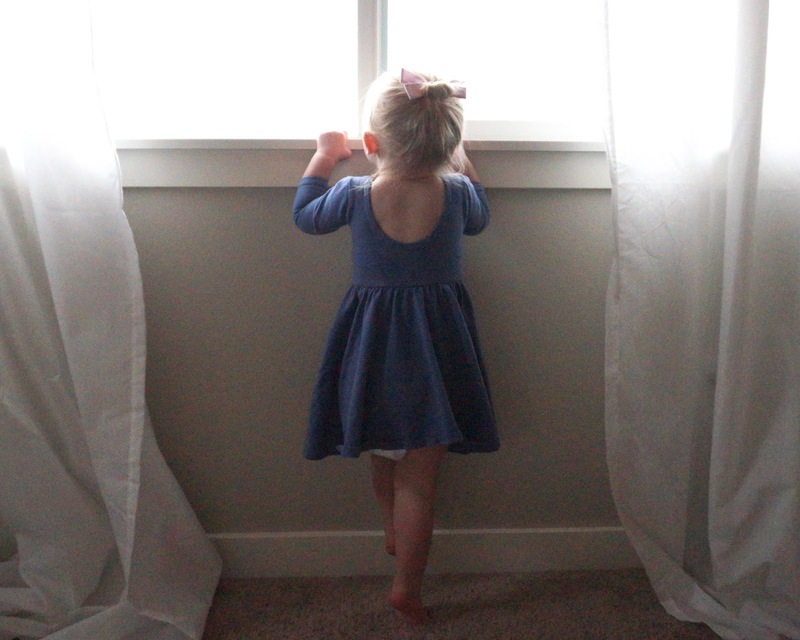 Three // Tutu dress: Chilly winds and rain visit often here in the Pacific Northwest, so you'll see Abby in long sleeves until like May. These long sleeve dresses are a great bottom layer (we have them in four different colors) because they're light enough to layer with a sweater or jacket on top. If a spill happens because let's be real, toddlers are trying to master how we place a cup down, which means spills always happen. I can just remove one layer to keep Abby clean (that's another one of my secret's) and P.S. this dress is on sale for $5.58 this weekend! Four // Beige Jacket: This winter coat has (faux) removable fur on the hood and we've been using it as her winter-spring jacket. I love that it can just be thrown into the wash and still keep it's shape. Plus a neutral color goes with everything! Five // Pink Sweater: I keep going back to H&M sweaters because the colors are always classic and go with just about everything. Sweaters over shirts and tu-tu dresses are, in general, my choice of clothing for her since she can still be warm in her car seat without a coat. 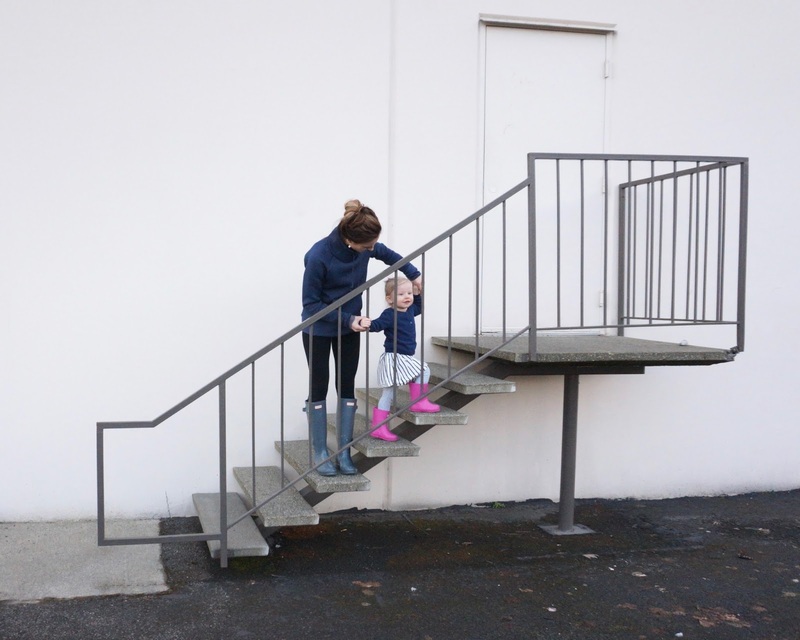 Six // Rain boots: I get asked about these boots all the time over on Instagram. I love them because (a) she can put them on all by herself and (b) they keep her dry during our errands, walks, park trips, and play dates. 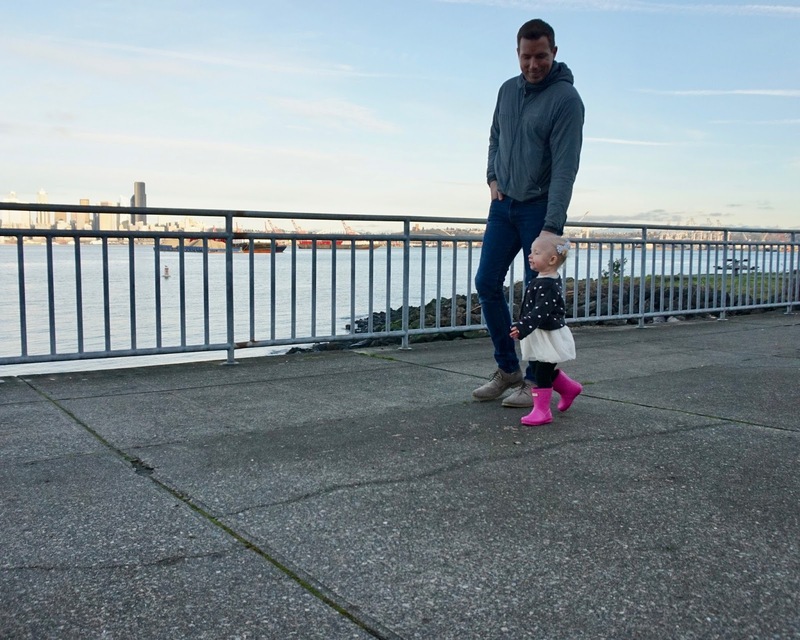 Being located in Pacific Northwest, I don't know how I could keep my toddler dry without a pair of rain boots These boots are a bit pricy but worth it if your child is going to wear them daily like Abby does. Seven // Tights: I've gone through five different brands of tights (even a couple higher end ones). But, after trial and error, H&M tights are the only ones I buy now. The fabric is high quality for the price. And they're long, so they fit Abby's long legs and let me use them for the exact amount of time they say, if not longer. I just put Abby into her 1-2 year tights and they still feel brand new after about 2,587 washes. 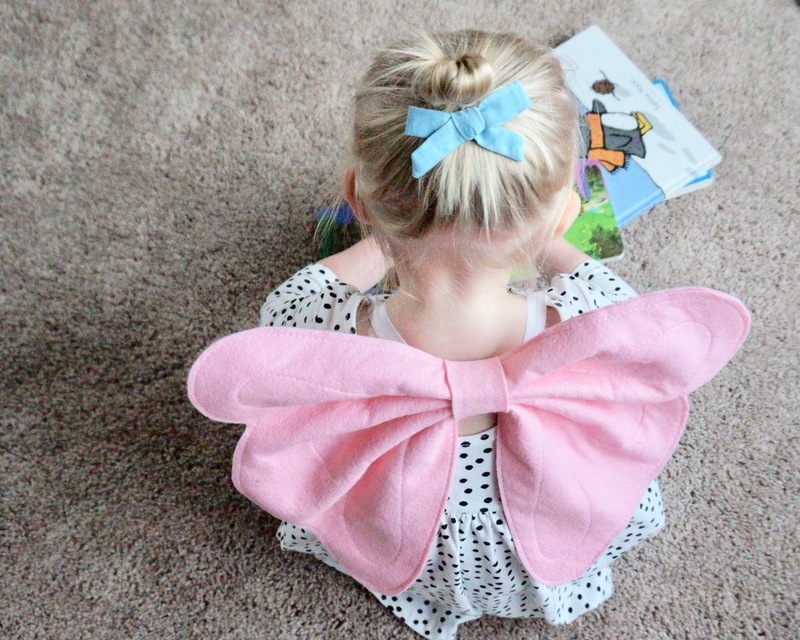 Eight // Flower Felt Headband: I've been putting handmade bows and flower felt headbands on Abby since she was a newborn. I love the beauty and quality of Fancy Free Finery headbands. They hold up while Abby's repeatedly trying to place them on her stuffed animals. Plus, for special occasions, they really add a nice feminine look to any girly dress! P.S. Almost everything I highlighted above is on sale for the weekend! H&M's is having a sale up to 50% and you get free shipping with the code 6418. Old Navy is having a sale with 30% off everything (some restrictions apply) and The Gap has a sale for 20% off plus free shipping with code PRESDAY. If you have any questions, let me know below and happy shopping! Flying with a baby or toddler terrified me when I become a mother, so much so that I didn't sleep for a week before our first flight with Abby, who was four months old at the time. And the night before we left, I called my mama friend in a panic. If this story sounds like you, I typed up this blog post for you! Making a list and checking it twice is a tip I borrowed from Santa. Babies need a lot of stuff! So setting things aside and packing early has really helped me stay organized and not forget anything! I quickly realized that 80% of the space in my suitcase was Abby’s and that I needed to wear one pair of jeans instead of my planned three. To give you an idea, I normally start cleaning and packing everything four to seven days ahead of our flight. Airline ticket prices can vary across flight times, but if possible, schedule the flight around the baby’s nap schedule. We did this each trip with Abby and our efforts always paid off because we didn't need to adjust her schedule. If you can make this work, wonderful! Babies need a lot of stuff and we only have two hands. So holding our little one in a sling, carrier, or wrap worked great while checking bags and going through security because it allowed me to keep my hands free. Babies always cry during take-off and landing and now I know why: because of the air pressure changes. So consider bottle or breast-feeding, whichever one you’re doing, your little one during take-off and landing to relieve pressure on their ears. A binky can work too! Our very first flight with Abby included a two-and half-hour delay (on the runway), which meant we were not allowed to stand up or leave. A two-hour flight quickly turned into five hours. (Yes, it was awful.) The terms "frazzled" and "panicked" defined my day, especially when we were two hours from landing and only had one diaper left. I learned my lesson. Now, I always try to double-up on the number of items I think we’ll need for a flight. If you want a "break" for a long flight, sit across from your partner. Steve and I did this once to switch off holding Abby every other hour. It was wonderful! We each had a break on a 6-hour flight. However, on our very first flight with Abby, I needed and wanted Steve by my side. Having him right there next to me was far more important than getting a break! 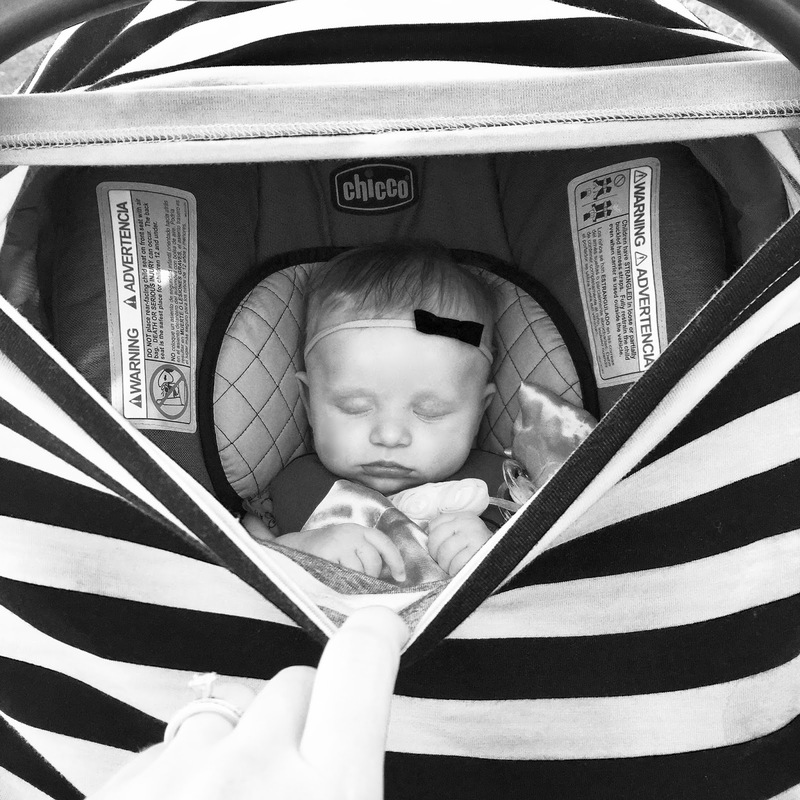 This tip is one to keep in mind as you get more comfortable with your baby flying skills. Spit up. Do I need to say more? Pack an extra shirt in your carry on and maybe an extra outfit for baby. It's ok! The spit up stage doesn't last forever. In the beginning of my baby flying days, I dressed for the destination rather than the flight. But I've found that I’m happier and more comfortable while traveling when I dress for the flight and then change in the airport bathrooms after landing. To make this easy on yourself, while packing, place those clothing items in the top part of your checked bag or carry on so they’re easy to grab once you've landed. At this age, sometimes she naps while flying and sometimes she doesn’t. The chatter, noise, and TVs on the plane are often too distracting for Abby to fall asleep, let alone stay asleep. Since she’s been turned 1, we’ve tried to schedule flights for when she's already awake. I took the advice from a journal article about taking no more than you needed when flying with a baby. Unfortunately, the article doesn’t account for the fact that flights can be delayed or canceled. As I mentioned above, on our very first flight with Abby, we spent just as much time stuck on the runway as we did in the air. I'll never pack for just our flight time again. Double the items you think you’ll need for the travel time and thank me later! I was surprised to see how much Abby ate. And ate. And ate. So the more snacks you pack, the merrier everyone will be. To give you an idea, I purchased a twelve pack of organic bunny cheese crackers and Abby consumed almost all of them during our six-hour flight. She didn't cry once! Some airlines ask that you bring a car seat on board, but check online or call to be safe. We have always checked ours because children under two years of age are considered a "lap child" and are generally allowed to fly for free. A good mama friend of mine made me promise to never bring a car seat on board because toddlers won't stay in it and you end up paying for a seat you didn't need to pay for in the first place. We've took her advice and have been very pleased with the results. If you’re comfortable, sit in a seat across from each other on either aisle. It's a cheaper option than having your "lap-child" take up entire seat that they don't really want to sit in and that you paid for. But you know your kid best, if they seem like the type to sit and color in their own seat, go for it! You know your family's needs better than anyone else! I always used a diaper bag until our third trip in with Abby, when I broke down and bought this diaper bag backpack. But since that trip, I’ve only traveled with the backpack. Hands free with my toddler sounds amazing! In the end, whatever happens is only a moment though the memories you make with family and friends at your destination will last a lifetime. I try to remind myself this on every flight. The greatest gift we can turly give one another is time. I hope this helps you as you venture out and fly with your baby or toddler. If you have any questions let me know! I'm happy to help!